Answer: We are conveniently located in California, Delaware, Washington, D.C., Florida, Kentucky, North Carolina, New York, Ohio, Tennessee and Texas. Please check our locations page for hours, services and additional information. How much is a state (BCI) and federal (FBI) background check? Answer: The BCI check is $40; the FBI check is $50; if you get them at the same time, the cost is $70. How much is electronic fingerprint capture for FBI Channeling? If I am not a U.S. citizen or legal permanent resident (green card holder), can I have my fingerprints electronically captured at a FastFingerprints location for FBI Channeling? Answer: No. You will have to get your fingerprints on cards and mail them directly to the FBI. What sort of payment do you take? Answer: We accept checks, money orders, Visa, MasterCard, American Express and direct Bill accounts – (you must send us 50 people or more a year to set up a direct bill account). Answer: No. All of our locations accept walk-ins. Please check the locations page on our website for their individual hours of operations. Can I have my prints taken at a PSI site? Answer: Only if you need a background check for the Ohio Department of Insurance. How can I check the status of my Ohio background check? Answer: The Ohio BCI processes and mails out all background checks for the state of Ohio. To check the status of your background check, you can contact the BCI at 877-224-0043, and press option 0 for identification. How long does it take for an Ohio background check to be processed? Answer: The average response time from Ohio BCI is 5-7 business days, but can take up to *30 days to process. Can I get a copy of my fingerprints? Answer: Yes. Our Columbus-Bethel Road, Cleveland–Westlake, Cleveland–Beachwood, Cleveland South, Cincinnati– West Chester, Toledo, Westerville, Washington, D.C., and Jacksonville, Florida locations can all fingerprint onto a fingerprint card (FD258) and give those cards back to you. Can I have the results sent to a second place? Answer: For some licensing agencies that accept results electronically from the Ohio BCI&I, they do allow a second hard copy to be sent to the individual or another location. For employment reasons a second copy is not allowed to be sent to another location directly. Select BCI copies can be resent, but must be requested through BCI&I directly at 877-224-0043, option 0. The FBI copy is never released a second time. I don’t live near one of your locations, can I send in fingerprint cards? For Florida & Ohio? Answer: Yes. Please visit the FL and OH Card Scanning tab located to the left of the page. You can print off a form and send to us for processing in both states. Do all of your locations process Florida Level 2 background checks? Answer: No. The following locations accept walk-ins for Florida: Delaware (Newark), Washington, D.C., Kentucky (Erlanger), North Carolina (Charlotte), Ohio (Cincinnati-North College Hill, Cleveland-Beachwood, Cleveland-Euclid, Cleveland-Westlake, Columbus, Hamilton, Upper Sandusky, Boardman, Mansfield, Ravenna, Youngstown-Warren), Tennessee (Memphis, Knoxville) and Texas (Houston, Irving, League City). Can I have a copy of a previously done background check? Answer: Yes, you can typically request a copy of your BCI report from the Ohio BCI. There are stipulations, but you can obtain that information from their website at www.ohio attorneygeneral.gov. What exactly is your storage feature? Is it a one-time fee or do I have to pay again? Answer: Fingerprints are stored on file for one (1) year from the date of the fingerprinting appointment. 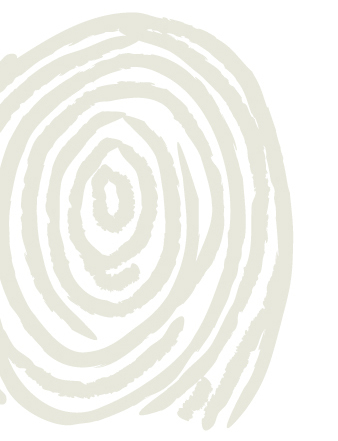 If your career requires you to be fingerprinted on a regular basis, or if you’re changing careers, we offer the convenience of storing your fingerprints with us indefinitely. Subsequent transactions will use these fingerprints, which mean we can process fingerprint transactions for you over the phone, without the convenience of an appointment.